American actor, director and screenwriter Sylvester Stallone on the set of his movie Rocky IV. (Photo by Sunset Boulevard/Corbis via Getty Images). Multi-hyphenate entertainer Sylvester Stallone (born July 6, 1946) is best known for playing boxer Rocky Balboa in the Rocky and Creed film series and for being a major box office star in the 1980s and early 1990s. 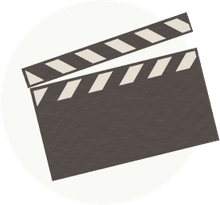 In addition, Stallone has proven to be equally adept behind the camera as a film director, producer, and an Oscar-nominated screenwriter. Movies starring Stallone have grossed over $2 billion at the worldwide box office. Sylvester Stallone was born in Manhattan, New York. 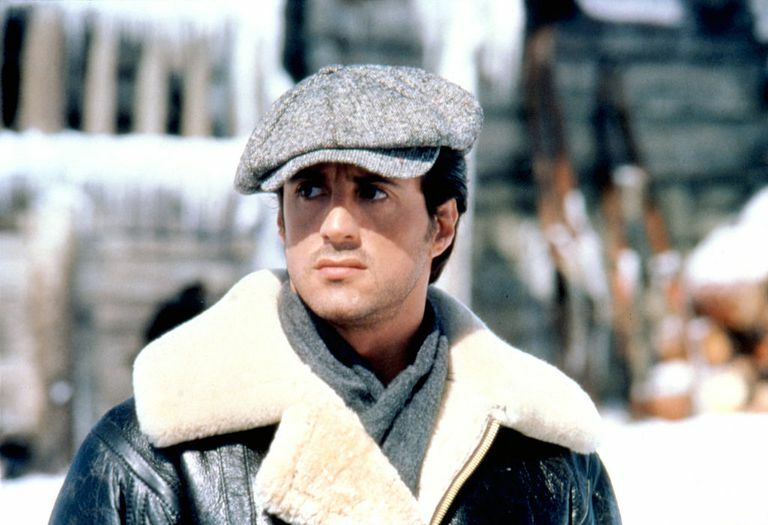 Difficulties during his birth caused birth defects, which gave Stallone the partial facial paralysis that resulted in his trademark acting style. His family moved around the East Coast of the United States during his youth, and he later attended college in Florida. In the early 1970s, Stallone began pursuing an acting career. He appeared in minor roles in several movies, including Bananas (1971), The Lords of Flatbush (1974), and The Prisoner of Second Avenue (1975). He played "Machine Gun" in producer Roger Corman's dystopian action movie Death Race 2000 (1975), which was a minor box office hit. In 1975, Stallone wrote a screenplay about an underdog boxer after watching journeyman Chuck Wepner fight the world champion Muhammad Ali and last until the final seconds of the last round. He called the screenplay Rocky. Stallone sold the screenplay to United Artists under the condition that he play the title character. Rocky, which became a massive crowd-pleasing success, depicts a down-on-his luck Philadelphia boxer named Rocky Balboa who is given a once-in-a-lifetime opportunity to box the world heavyweight champion, Apollo Creed. Rocky became the highest-grossing film at the U.S. box office in 1976 and was nominated for ten Academy Awards. Stallone himself was nominated for both Best Actor and Best Original Screenplay. The film won three Oscars, including Best Picture, and features iconic imagery like Rocky running up the steps of the Philadelphia Museum of Art. Rocky turned Stallone into a superstar. Though Stallone starred in F.I.S.T. and Paradise Alley in 1978 (the latter was Stallone's directorial debut), his next big hit was Rocky II (1979). Rocky III followed in 1982, and proved to be yet another hit. Stallone wrote and directed both sequels. In 1982, Stallone also starred in First Blood, an adaptation of the 1972 novel about a Vietnam veteran super-soldier named John Rambo who reacts violently to discrimination he faces in a small town. The film was a box office hit, and Rambo became Stallone's second signature character. He reprised his role as John Rambo in Rambo: First Blood Part II (1985) and Rambo III (1988). In 1985, Stallone wrote, directed, and starred in Rocky IV, which depicts the now-retired Rocky facing Soviet boxer Ivan Drago (Dolph Lundgren) in an international super-fight. Released at the height of 1980s Cold War tensions, it became the biggest box office hit in the franchise. However, 1990s Rocky V, which depicts Rocky training a new boxer and focusing on fatherhood (and features Stallone's real-life son as Rocky Jr.), was the least popular film in the series at the box office and has been frequently criticized since its release. Stallone had additional box office hits during the late 80s and early 90s with Cobra (1986), Tango & Cash (1989), Cliffhanger (1993), and Demolition Man (1993). However, he also had several notable box office failures, including Rhinestone (1984), Over the Top (1987), Oscar (1991) and Stop! Or My Mom Will Shoot! (1992). He directed and co-wrote, but did not star in, Staying Alive (1983), a sequel to Saturday Night Fever (1977), which was a box office success but a critical failure. Many of these failures were "honored" by the infamous Golden Raspberry Awards, and the organization declared Stallone "The Worst Actor of the Century" in 2000. After 1994's The Specialist, Stallone experienced a significant downturn at the box office for the next decade. The high-budget comic book adaptation Judge Dredd (1995) was a box office disappointment. Stallone took a more dramatic turn in 1997's Cop Land in which he plays a small-town sheriff and earned some of the most positive reviews of his career. While Stallone had more success in children's movies, voicing a character in 1998's Antz and playing a villain in 2003's Spy Kids 3D, his leading roles fared poorly at the box office. Two movies in which he starred, Eye See You (2002) and Shade (2004), were only released in a few U.S. theaters. Stallone did not write or direct any of his films during this period. Reversing his career downturn, Stallone returned to his signature character in 2006's Rocky Balboa, which features the title character returning to the ring for one final fight. The film was Stallone's biggest box office hit in the U.S. since Cliffhanger. He followed it with a return to another signature character in 2008's Rambo, which resulted in another worldwide hit. Stallone then recruited several other 1980s action stars, including Arnold Schwarzenegger, Bruce Willis, and Dolph Lundgren, to create another signature franchise, The Expendables (2010), which was followed by sequels in 2012 and 2014. These films also returned Stallone to the production side of the camera. In 2013, Stallone and Schwarzenegger reunited for the thriller Escape Plan, which was an international hit that was followed by two sequels starring Stallone. In 2015, Stallone played Rocky Balboa in Creed, a spinoff about the son of Rocky's one-time rival becoming a boxer. Creed was co-written and directed by Ryan Coogler. Stallone received an Oscar nomination for Best Supporting Actor, his first Oscar nomination in almost 40 years. Stallone became one of the few actors to be nominated twice for playing the same character. Stallone also won the Golden Globe for Best Supporting Actor for his performance. Creed II followed in 2018, and additional sequels in the Rambo and The Expendables franchises are planned. Since Stallone's return to prominence in the mid-2000s, many filmmakers who grew up watching his films have praised his work. Stallone fans include Ryan Coogler, who wrote and directed Creed, and James Gunn, who cast Stallone in a small role in Guardians of the Galaxy Vol. 2. He has been honored with a star on the Hollywood Walk of Fame and is an inductee to the International Boxing Hall of Fame. Sanello, Frank. Stallone: A Rocky Life. Mainstream Publications, 1998. Holmlund, Chris. The Ultimate Stallone Reader. Wallflower Press, 2014. What Are the Highest Grossing Slasher Movies of All Time? Whatever Happened to 'The Art of Racing in the Rain' Movie Adaptation?